Perth-based energy giant SSE plc said late on Thursday it is in talks with Germany’s Innogy SE about potential changes to the terms of the merger of SSE’s retail unit with Innogy subsidiary Npower — after the UK’s regulator proposed a price cap on default energy bills. SSE last year agreed to demerge its household energy and services business in Great Britain with Npower to form a new listed UK company. The merger would create Britain’s second-largest retail power provider. 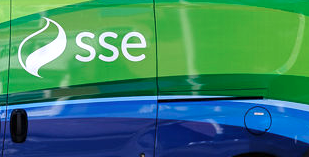 In a stock exchange statement on Thursday evening, SSE said: “SSE plc and Innogy SE have entered into discussions and are working together regarding potential changes to the commercial terms of the proposed combination of SSE Energy Services and npower Ltd (the new company) and listing of the new company on the main market of the London Stock Exchange. “These discussions are expected to take place over several weeks, and an update on their progress will be provided by mid-December. “SSE does not intend to provide further comment on the discussions until that update. “It is likely that completion of the proposed combination will be delayed beyond Q1 of 2019, but all work to seek to achieve the formation and listing of the new company will continue. “Since taking up her appointment on 24 September, the chief executive designate of the new company, Katie Bickerstaffe, has been leading the work being done to prepare for the listing of the new company. “It has since become apparent that the impact of some recent market developments mean that the commercial terms associated with the proposed combination will need to be reconsidered. “These developments include the potential impact of the level of the Default Tariff Cap on, amongst other things, the new company’s requirements to post collateral against its credit exposure and its ability to obtain and retain an appropriate credit rating. SSE CEO Alistair Phillips-Davies said: “We continue to believe that creating a new, independent energy supplier has the potential to deliver real benefits for customers and the market as a whole, and that remains our objective. innogy SE and SSE plc have decided to enter into negotiations on adjusting the terms of the planned transaction to combine innogy’s British retail business with SSE’s household energy and energy services business in Great Britain as agreed in November 2017. Martin Herrmann, COO Retail of Innogy SE, explained: “The planned merger of our subsidiary npower with SSE’s British retail energy business is a complex transaction. “Adverse developments in the UK retail market and regulatory interventions such as the price cap have had a significant impact on the outlook for the combined retail company. “Both innogy and SSE continue to see the benefits of a combination of the two businesses. “In October 2018, the UK Competition & Markets Authority provided final clearance for the planned merger.